Posted on August 14, 2018 | 4010 views | Topic : Events, Featured, News & Articles, Property News. 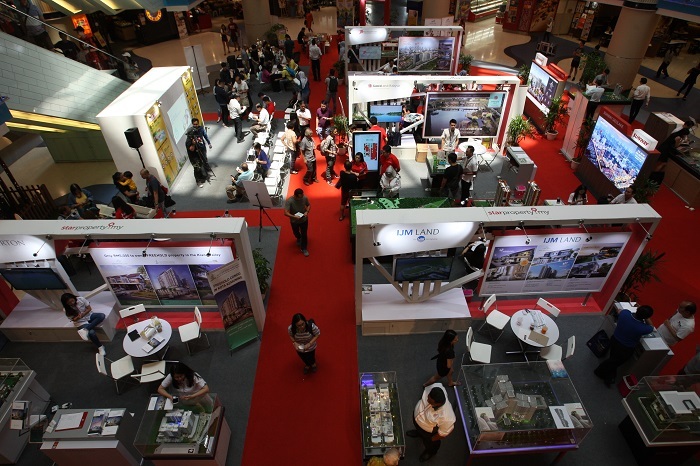 StarProperty.my Fair happening at Sunway Pyramid features developers, esteemed speakers and many more activities for the whole family. SUBANG JAYA: Homebuyers, especially first-timers, should inspect their new homes before moving in to reduce the risk of defects, said building inspector Joshua Kang. Kang, from Canaan Building Inspection, said these inspections should be carried out before owners proceed with renovations. If not, he said, there is a risk of the developer claiming a contractor caused the defects. Inspections protect the buyer by determining and identifying who is responsible for the defects, he said. After 30 days, and if there’s no response from the developer, owners can get a quote from another contractor on how much it costs to fix the defects. “Once you’ve received the quotation from the contractor, you send the letter of intent to inform the developer,” he said. Kang was speaking during the StarProperty.my fair at Sunway Pyramid held from Aug 10 until today. The fair features speakers and experts from multiple disciplines within the real estate industry who will share their insights with visitors. Another speaker yesterday was Jessie Lee who spoke about feng shui, who advised visitors on how to buy properties based on the flow of qi and the lay of the land. Lee said buying a property in the right area and according to feng shui could make a purchaser prosperous. Speakers include IQI Global chief economist Shan Saeed, Asian Land Realty principal Warrick Singh, Syarikat Ong Group of Companies managing partner Agnes Wong and lawyer Alfred Chong.